Learn how to find and unlock weapons in the Narco Road DLC of Ghost Recon Wildlands. This guide will teach players how to unlock new guns in the Ghost Recon Wildlands Narco Road DLC. The system isn’t the same as it was in the vanilla game, so it’s important to understand what mechanics are at work here. When you unlock weapon locations, you can hover over them to see what specific weapon it is. In Ghost Recon Wildlands Narco Road, there is a concept introduced called followers. As you complete various activities, you’ll increase the number of followers you have with that gang. 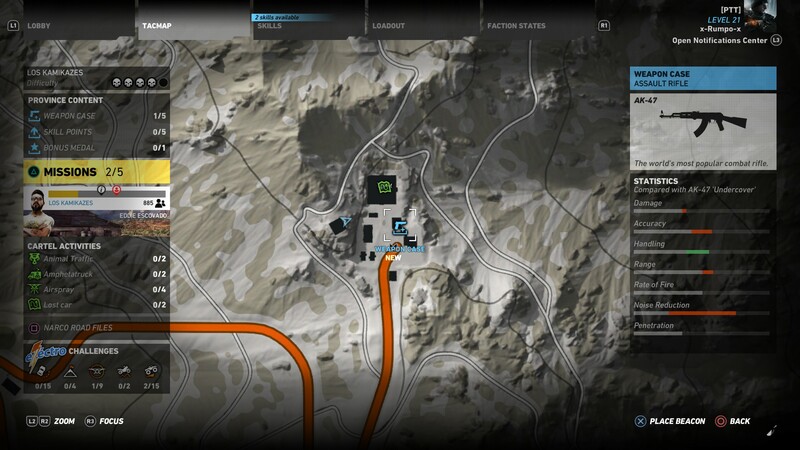 As the number of your followers climbs, you’ll unlock informants that will show up on your map. Once you see an informant, visit their location and speak with them, at which point new Weapon Cases, Accessory Cases and Skill Points will show up as well. If you put your cursor over those waypoints, it will tell you what it is you can collect from that location. Of course, new guns are almost always guarded by enemies, but at least you’ll know where they are. Another way to unlock new guns would be to simply explore the map and play the game, coming across them the natural way. If you’ve played Ghost Recon Wildlands for any amount of time in the past, this has no doubt happened to you. Of course, this way is much less effective than the one we described above, but some gamers just don’t like having everything handed to them. Not us, though, we’ll read the guides. Here's the AK 47 in all its glory after we picked it up in the Narco Road DLC. On the positive side, none of the guns listed in the DLC are showing up as needing to be unlocked by purchasing them, or by defeating bosses. We don’t have them all just yet, but the description of each one only says that it’s found in a certain region, not that you have to defeat someone to get it. 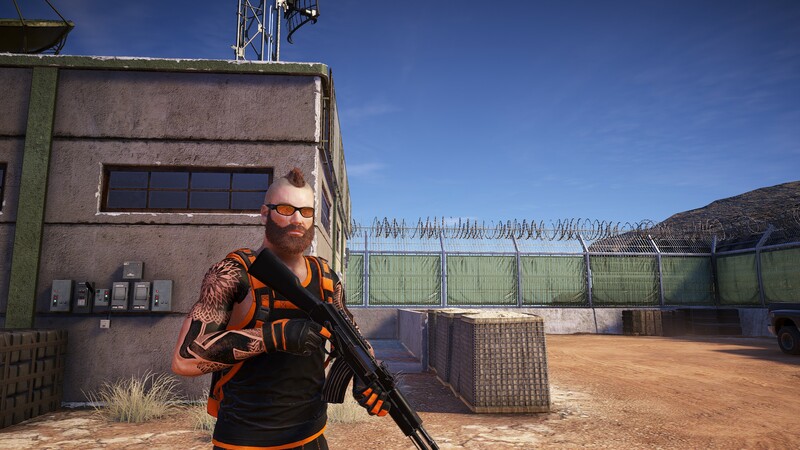 If you’d like to get a head start, we’ve already given you the Dragonbreath Light Machine Gun Location and the AK 47 Location to get you started on your quest to unlock new guns in Ghost Recon Wildlands Narco Road.